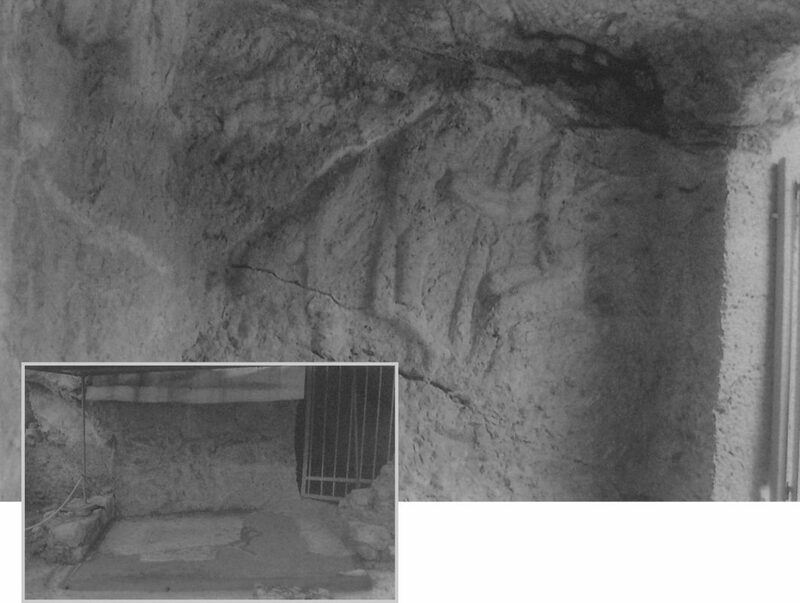 The small rock-cut shrine bearing the relief representation of Pan, to the northeast of the Hill of the Pnyx, is transformed and constitutes part of a luxurious residential complex; it has undergone consecutive repairs from the 2nd until the 5th centuries A.D. and is definitely abandoned during Justinian’s time. The complex is built upon cuttings of the Classical period and was revealed in excavation trenches within the scope of the project for the Unification of Archaeological Sites. Detail from the interior of the chamber with the relief representation of Pan, a Maenad and a dog. Bottom: small room with the sanctuary of Pan preserving a mosaic floor and a mural.